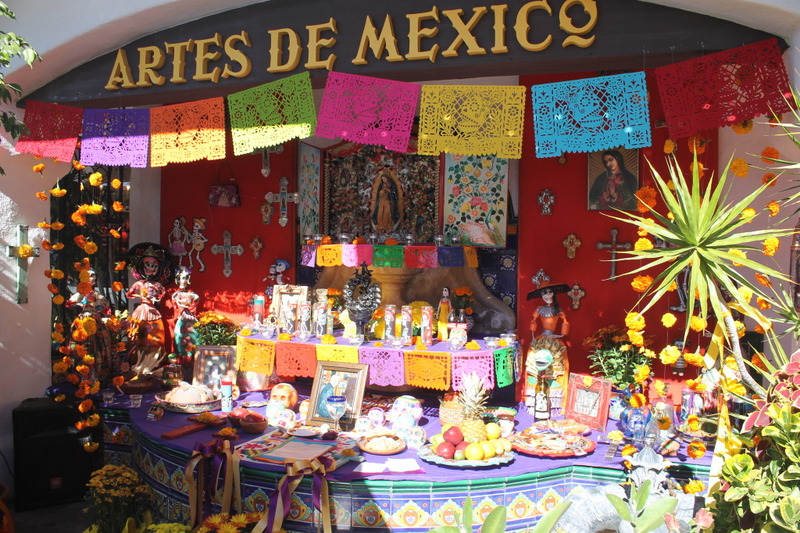 Join us at Bazaar del Mundo in Old Town for Dia de los Muertos, where we will pay homage to the dead with elaborately decorated altars, sugar-skull decorating and face painting. Children and families can enjoy a face painter and a sugar-skull decorating class (Saturday only; noon to 6 p.m., small fee applicable). Hot chocolate, mini churros and coloring sheets will be available for the children, while historical handouts will be provided to adults. 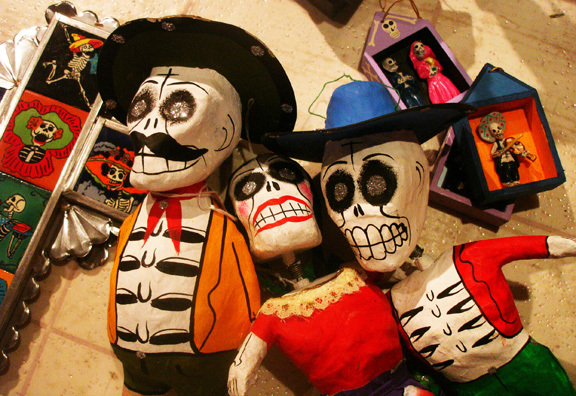 Neighboring Casa Guadalajara ­will have authentic Mexican cuisine for sale and live music will be performed by TINKU. 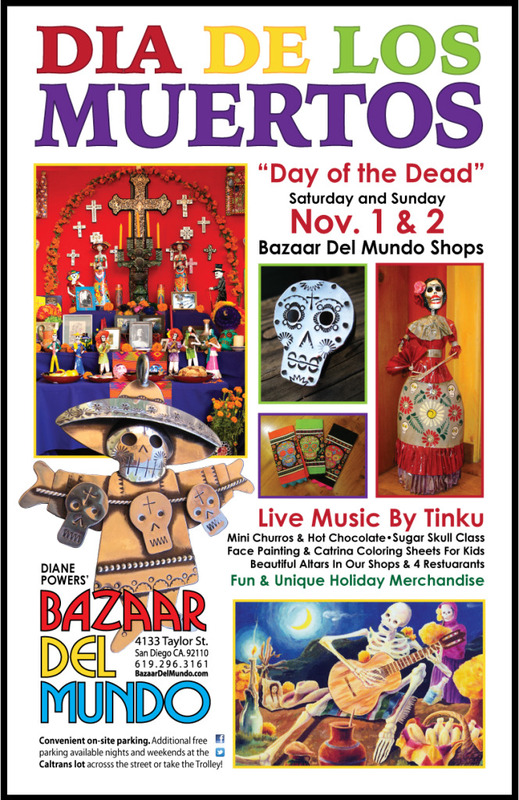 The event will take place Saturday and Sunday, Nov. 1 and 2 in the Bazaar del Mundo courtyard.